There are 1474 posts in this topic. You are on page 26 of 30. Cool. I’ll have check my local library. Is this 3-D skill hard to learn? The pin hobby has already overloaded my learning plate. LOL, I know how you feel cottonm4. But if I can do it, anyone can. Seriously though, it takes a little patience, but once things are dialed in, your good. The harder part is designing your own files. That's a bit more challenging for me. I've learned what I know by watching lots of YouTube. Can I ask the group a question. 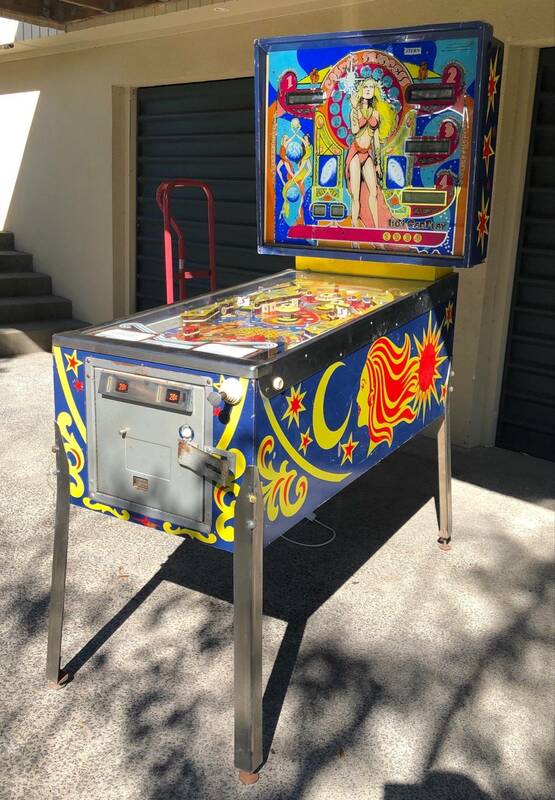 I just acquired my first older machine (1979 Stern Meteor), and while its not absolutely necessary at this point, i was contemplating replacing the flipper bats. I took a look under the pf and it looks like the flipper bats are held in place by right-angled hex screws; however, when I removed those screws the flipper bats didn't budge, at all. I didn't want to do anything too aggressive until I asked the group if I was missing something?? If you are unsure you can back them all of the way out. Sometimes they burr or gall up pretty badly and take some effort to get out. Yeah, these puppies were not budging at all. Against my better interest, i did try and lightly hammer on the flipper bat post from the underside of the pf, but to no avail. That's when I stopped, wondered if I was missing something and planned to ask the group. This was the case for all three flippers. I tried to find anything online on this issue, but I couldn't find anything on the subject/folks talking about this. Any suggestions to try to get these out? Thanks!! I've never heard of it being that bad. Do they look rusted out? if you have the two hex screws completely out and I can't think of any reason why they would be stuck that bad unless they are rusted, or possibly someone put something silly like loctite on them. Just in case you didn't see them, there are 2 screw on each crank holding the flipper in place. I've had these things be stubborn as well, a few I said f@ck it and used a grinding wheel to cut them out. 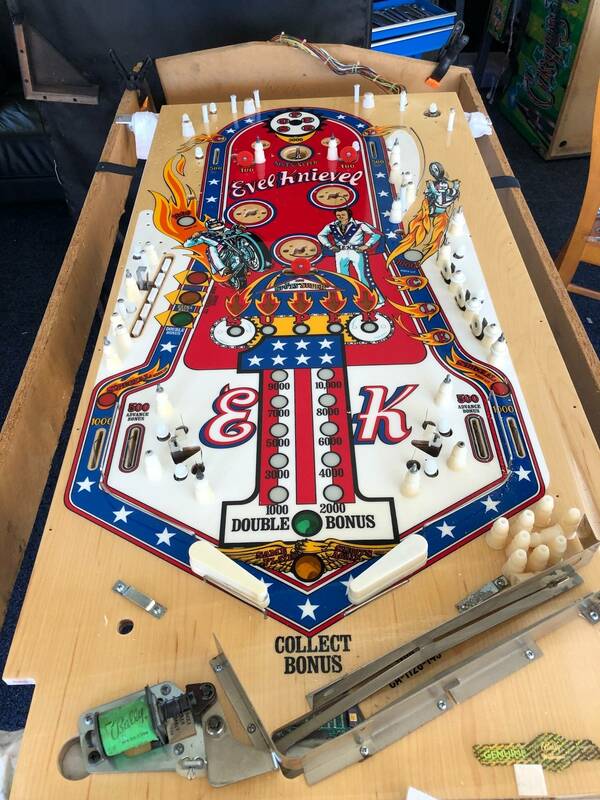 Try with one hand holding the crank in place under the playfield and with the other twist the flipper back and forth while pulling up on the topside. A few good whacks with a hammer can always help to get it motivated to move also. 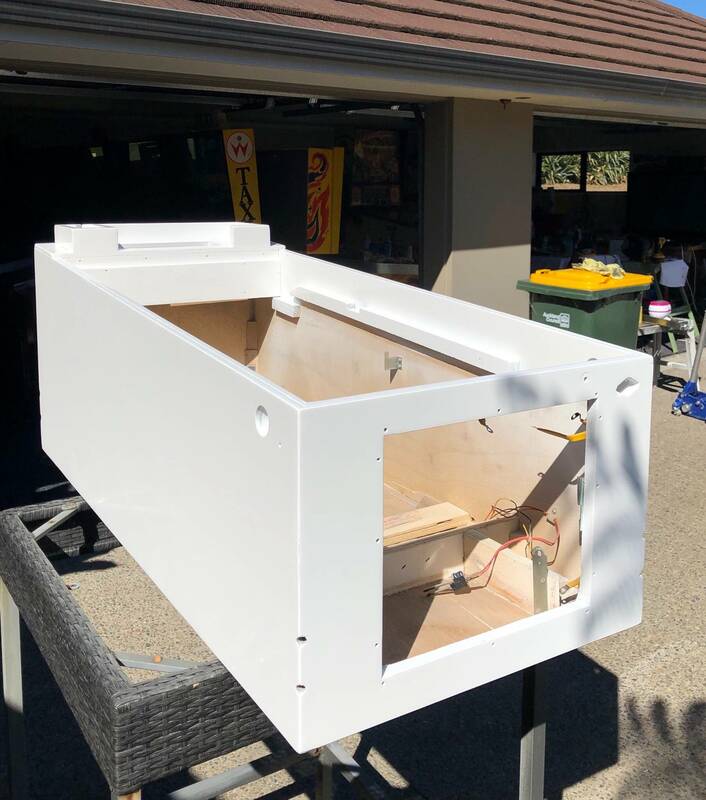 Here's an article that @vid1900 wrote about rebuilding flippers. Like Thrillhouse said - I usually hold underneath on the pawl with one hand, then pull while twisting back and forth above... When it doubt, just smack it from underneath. You'd be hard pressed to do any real damage to a flipper pawl (and if you do, they're like ten bucks to replace). Take both hex screws out if you haven't already, shoot a little 3-In-One oil in the holes, wait a few minutes, the use the "pull and twist from the top and whack 'em from the bottom. Hard. Agreed. It sounds like someone installed WMS or DE / Sega / Stern bats. If so, it would probably be best to hacksaw the bat shafts, and replace the bats and cranks with new. Can you post some pics of the bats, top and bottom. Thanks everyone. I appreciate everyone's response!! I will certainly take some pictures and post them. One thing I noticed, when I ordered some replacement bats appropriate for this era of Stern game, when examining the current flipper bat posts they do seem a bit longer than what was delivered to me, making me feel like maybe the current bats are for/from a different manufacturer. another thing I noticed was that when I got the replacement flipper bats, the post has a small notch, probably where the hex bolts/screws are supposed to fasten to the bat shaft. The current bat posts do not seem to have that notch as there is a lot of smooth bat very proud underneath. And yeah, those puppies are stuck in there good. Ultimately, I did break out a hammer, and after I took a couple good whacks and they still didn't budge, it was at that time I decided to ask the group if I was maybe missing something. Sounds like it's time to break that hammer out again.. just never feels right to get a new game, even though it's an older game, and immediately start breaking out the hammer! Hahaha. One thing I noticed, when I ordered some replacement bats appropriate for this era of Stern game, when examining the current flipper bat posts they do seem a bit longer than what was delivered to me, making me feel like maybe the current bats are for/from a different manufacturer. another thing I noticed was that when I got the replacement flipper bats, the post has a small notch, probably where the hex bolts/screws are supposed to fasten to the bat shaft. The current bats do not have that as there is a lot of smooth bat proud underneath. And yeah, those puppies are stuck in there good. Ultimately, I did break out a hammer, and after I took a couple good whacks and they still didn't budge, it was at that time I decided to ask the group if I was maybe missing something. Sounds like it's time to break that hammer out again.. just never feels right to get a new game, even though it's an older game, and immediately start breaking out the hammer! Hahaha. 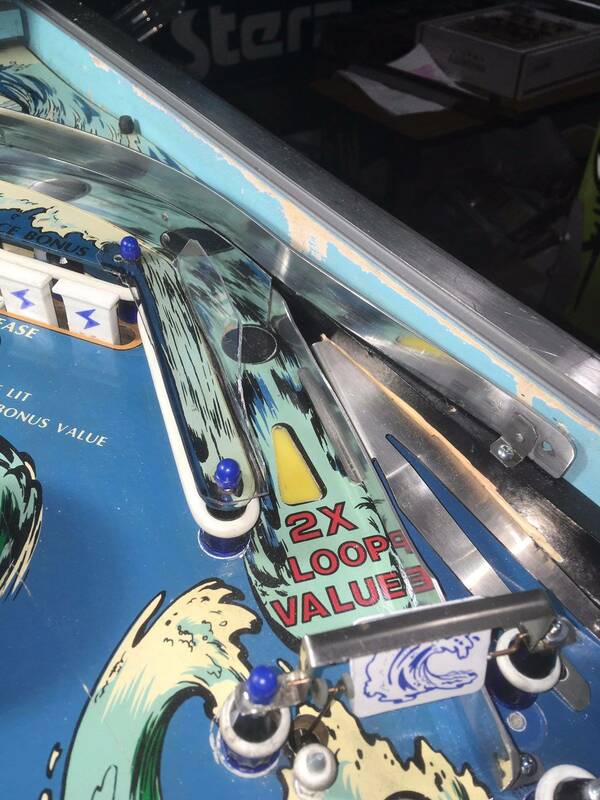 Speaking of flippers, after playing a few games, while everything in the game is functioning and scoring appropriately, while taking some second and third looks at the flipper mechanisms, I noticed that the coil at the upper flipper (that hits the media targets) was quite hot. Prior to this examination I had been playing for about 10 minutes. This one coil was functional, not burnt, actually looks like a newish coil, but quite hot to the touch. The remaining coils on the game were cool to the touch. All the wires seemed appropriately placed and well soldered. Any ideas? 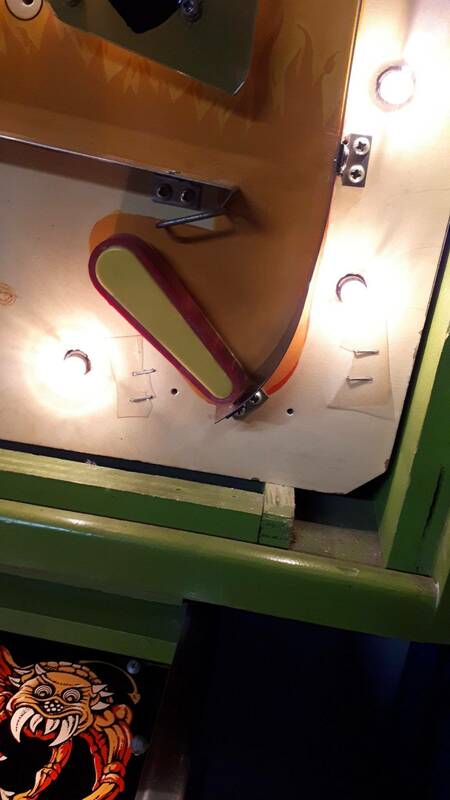 Speaking of flippers, after playing a few games, while everything in the game is functioning and scoring appropriately, whule taking some second and third looks at the flipper mechanisms, I noticed that the coil at the upper flipper (that hits the media targets) was quite hot. Functional, not burnt, actually looks like a newish coul, but hot to the touch. All the wires seemed appropriately placed and well soldered. Any ideas? Make sure the EOS switch is opening when the flipper is engaged. Certainly wouldn’t hurt things. Rebuild all three flippers while you’re in there. Speaking of Stern flippers, why do the rebuild kits cost so much more than all the other types of kits? These were unavailable for a very long time. Guess there was a significant upfront cost to finally getting these parts remanufacfured. We should be happy they are now available. I'm trying to sort out a Tilt lamp issue I'm having on a Stars that I'm babysitting for a buddy of mine. The tilt switch works (kills the coils on the current ball until it drains;no bonus). 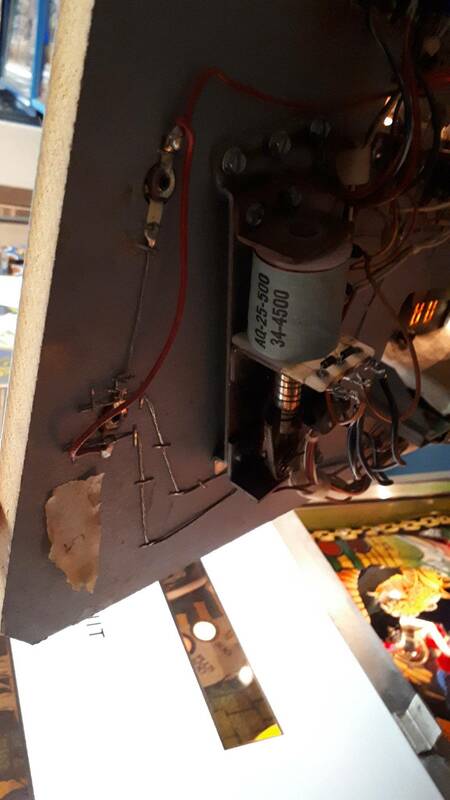 I've replaced the SCR, reflowed the solder to the pins on the board, checked to make sure the wire is in the right spot on the plug (position 10), changed the crimp contact on the wire, checked continuity from the lamp to the board (to the pin on the back of the board) and it's all good. There are no burnt traces or lifted pads on the board (it's in good shape). The lamp doesn't work in test mode, but when grounding the SCR to a TP1, it will light (as verified by my wife, I haven't seen it myself, she said it was dim). The lamp doesn't flick when the game is initially turned on. I think the only other pieces to the puzzle are the associated chip and resistor. I checked the resistor and it sees an ohm value of 2.5 IIRC; it's in line with whatever the others are, so the resistor is good. I don't have a great way to check the chip. I was asked to connect a logic probe to it, but don't have one (I should get one). Instead, I was asked to see what voltage it pulled in test mode and the DMM jumped from 0-20-0 etc. If a logic probe will give me better information, I'll get one. This is an awesome resource. Thank you!! I’m learning this process still but apparently if you jump 5v from a TP to the leg of the associated resistor that goes to the chip, and the light comes on, the chip is bad. If the light doesn’t come on, the SCR is bad. I'm not going to down vote or flame you, but I disagree. I can't stand old Stern games when they have the wrong flippers or flipper bats. I personally love the feel of the old Stern flippers. I rebuilt the ones on Magic and they feel and shoot amazing, I only wish I had done it sooner. I haven't run into a flipper bat that could withstand a concerted effort from a nail punch and hammer attack. 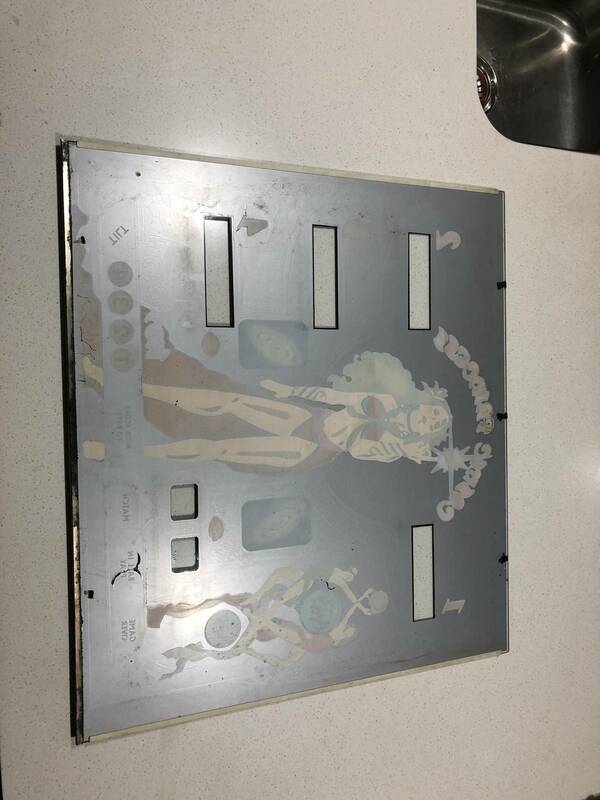 Just make sure all the set screws are out and that someone can hold the playfield up for you. Might want to remove the backglass first as I have seen those flipper bats fly out like missiles when they break loose. Don’t blame ya. For me I figured I could swing away on this board as worst case I need to pay $100 for a brand new one. Same - If it's your game, to each their own... but I really, really like the feel of the old Stern flippers. I like the size that's smaller than a Bally but not a skinny as a WMS. I like the function and they seem to last just fine in a home setting once properly rebuilt. And competitively I feel it's important to be able to play a full range of manufacturer/hardware and know those nuances. That said - Flipping my old Gorgar mechs for Fliptronics only cost me like $30 extra (full mech and coil from PBL vs expensive rebuild kit for that existing garbage design) and is a complete game changer. I'd recommend doing that on any of the older WMS machines that can support it. This one coil was functional, not burnt, actually looks like a newish coil, but quite hot to the touch. 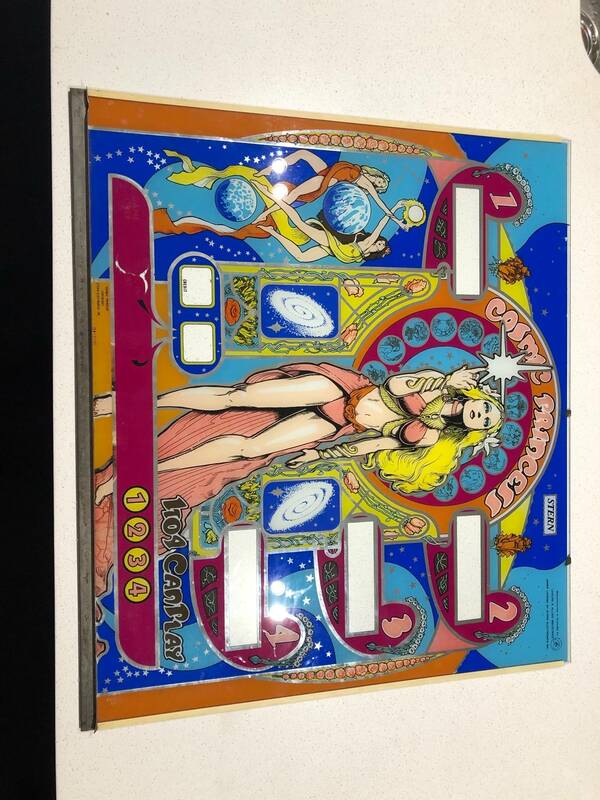 The remaining coils on the game were cool to the touch. All the wires seemed appropriately placed and well soldered. Any ideas? Blue print shows all 4 flippers are driven by one transistor. I don't know why only one is getting hot. But you should think about replacing the Q15 transistor on your SDU board. Print calls for SE9302 or X44E198. Use a TIP 102 instead. Don't buy the kits for $50.00. Buy the complete assemblies that include a new coil and new base plate. This is the later style but If I had a Meteor this is what I would put on. When I was getting started 3 years ago I asked Steve at PBR about flipper replacement parts (coil stops I believe) for my Big Game. He did not stock that stuff and about jerked me thru the phone line so he could yell at me a little louder about it. 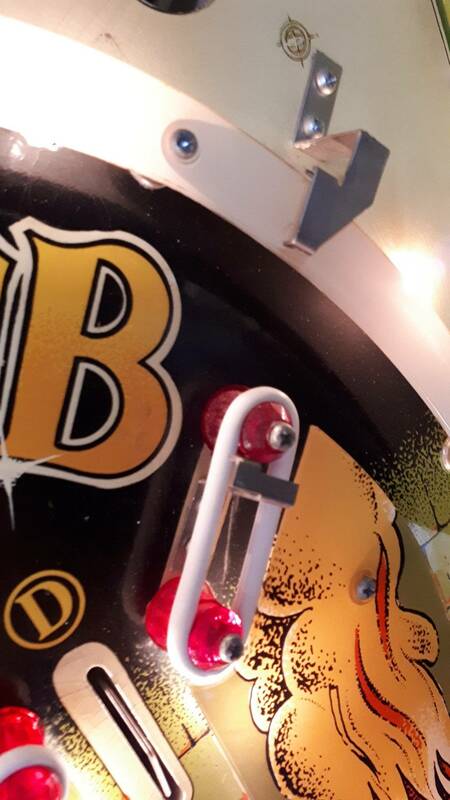 Pinball Life is the only option for the the cranks and coil stops. I had your problems removing bats. I had to remove the set screws and start twisting and turning the bat to eventually work it out. A couple I had to drive out with a punch. As you might be aware, sometimes a lot of torque has to be applied to lock the bat into place. The set screws in mine were so over-torqued that metal on the bat shaft had been displaced which made for hard removal. This displaced metal was in those notches. Once I filed the offending metal away the flippers reinstalled nicely. Some of the set screws had been torqued down so tight that the threads on the ends were deformed and I had to get new set screws. The replacement flippers I have bought, like yours, have longer shanks with no notch. I prefer them this was. I really like these Williams style aluminum bats PL sells. I lie the way they hit. I like they way that they are not going to break. A chicken in every pot; A punch and a hammer in every toolbox. When I rebuilt my Lightning I had 4 flippers to do. I already had new coil sleeves, so I saved some money by ordering the plunger and links, coil stops, springs, EOS, and bushings. I just re-used the cranks and set screws cause they were fine. 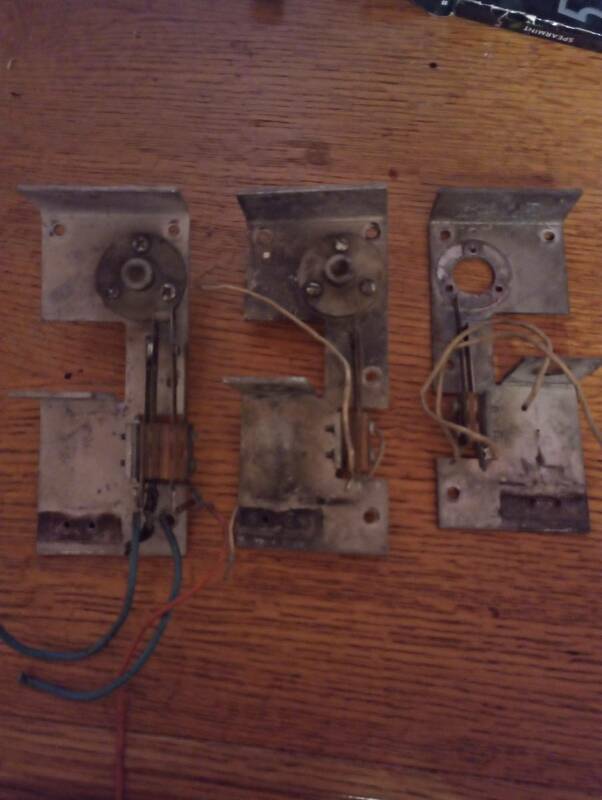 I did have to order a couple base plates though because the holes to attach the coil stops were stripped out. In hindsight, I would probably just order the whole assy if I had to do it again. 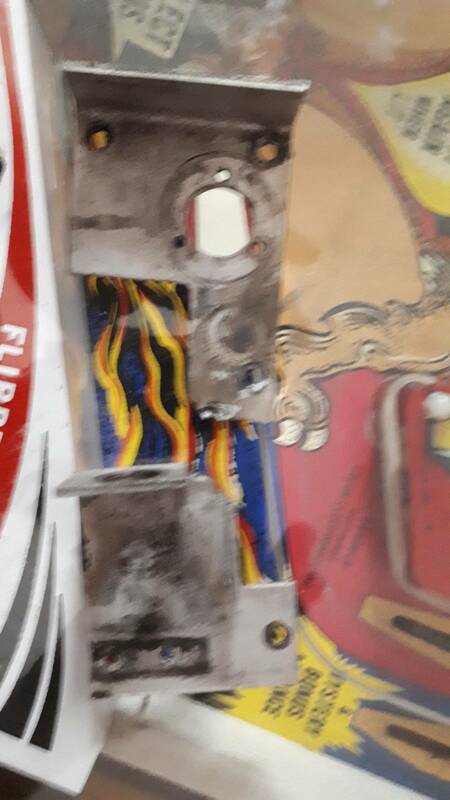 I've rebuilt tons of flippers on all types of games over the years and I found these to be a PITA. I did my big game piece meal too. If I did it again I’d do the full assemblies too. Then have extra parts. Thanks for all that info!! I'll check it out further this evening...and thanks for the link to the classics stern flipper mechs at PL. Nice, and interesting that they have an already assembled option. PL use to have the Meteor style flipper assemblies, but I no longer see them. They could still be there, though. 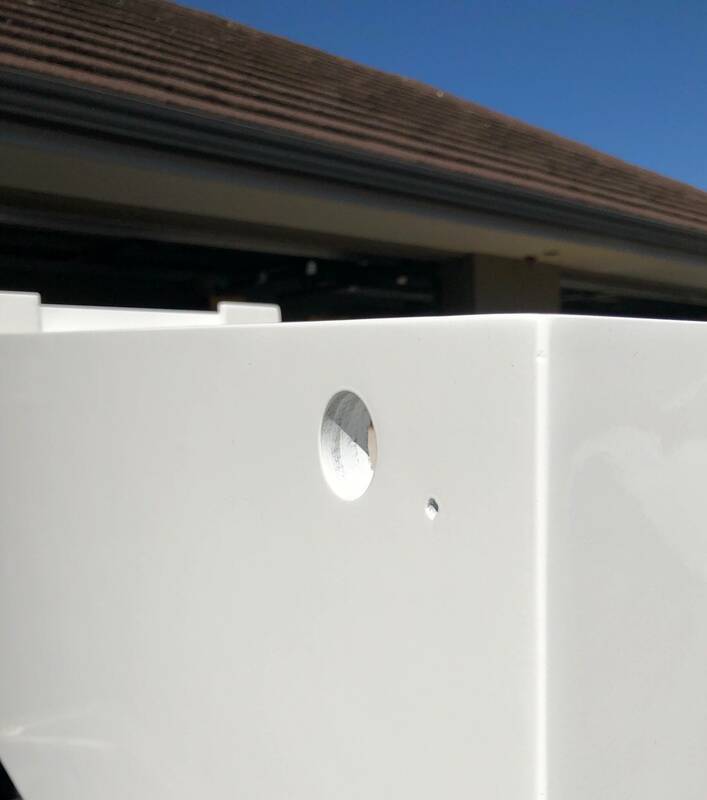 The base plates have different hole patterns so you would have to plug some holes and drill new ones. EZ job. I used to feel the same way years ago, but have since changed my mind. I don't use Williams bats though. For the other Stars owners, I rebuilt the flippers in mine with new everything. I feel like the flippers travel a bit too high. I set them right on the roll pin with rubbers off, they are in line with the guide. the tips travel to just below the doubt and triple bonus inserts. I have the later flipper mechs on them. The ones with the plastic linkage, not the bakelite. EDIT. watched some videos and it seems my game is pretty typical. I noticed that the coil at the upper flipper (that hits the media targets) was quite hot. Prior to this examination I had been playing for about 10 minutes. This one coil was functional, not burnt, actually looks like a newish coil, but quite hot to the touch. The remaining coils on the game were cool to the touch. All the wires seemed appropriately placed and well soldered. Any ideas? Q15 would not be the issue since it simply activates the flipper relay, which provides the ground path for all flippers. 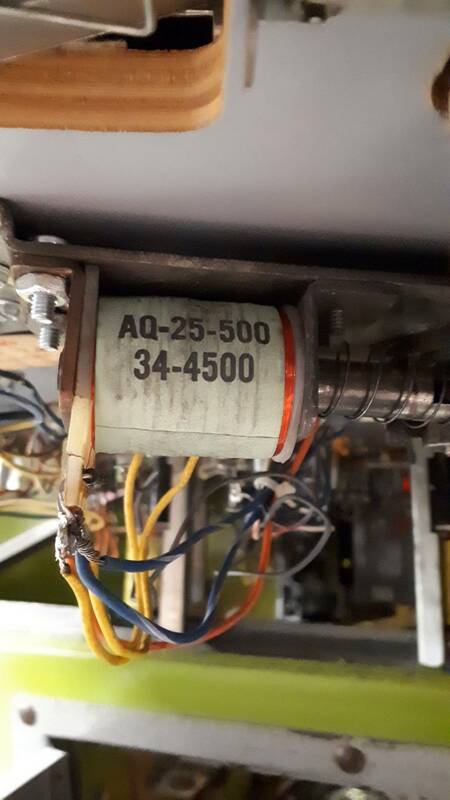 Most likely you have an issue with that particular coil. You said it looks new, what is the part number? 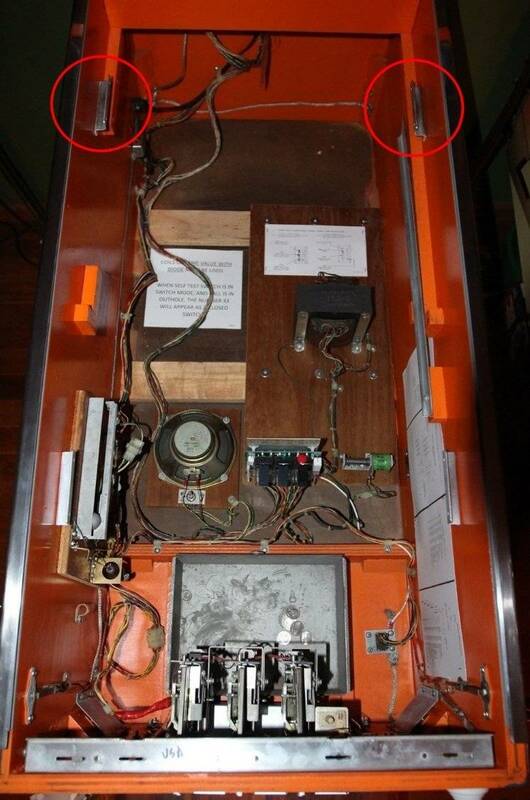 Try taking readings across the coil terminals with an ohmmeter with the power off and the EOS switch held open. The large gauge winding should read about 3 ohms, the smaller gauge winding should read about 300 ohms. If your readings are less the coil would be drawing more current and generating more heat. This could indicate the wrong coil or the windings have been compromised somehow. Maybe a puncture to the coil from an overly long EOS screw or a stray strand of wire on the solder terminals. Give the coil another look and report your findings here. Then this will probably give you a heart attack but I have managed to incorporate a Beatles launch ramp in my Seawitch The goal of getting better loop shots from the upper right hand flipper did not pan out, but I am happy with the way the ball launches. I still need to do some work on fit and finish but this will do, for now. I am going to frame that flap gate and hang it on the wall. I am bringing this bad girl to TPF. You can check it out there. Anxious to try it. Would like to do that to mine, but I'd really like to be able to make repetitive loop shots from the upper flipper and may not be able to do that without modding the left side. You would really have to open up that left loop entry. It has taken awhile to find good pics to illustrate the changes on the new Beatles pin. The design engineers opened up the left loop by taking it all the way to the rail. This added about 1" to the width of the loop. And the 2nd item I just noticed a few minutes ago is that the left inside loop plastic has been raised from its position of being at the same level as the lower skirt of the left pop bumper to what looks likes being located across from the top of the same pop skirt---that's 2 inches higher. So a difficult shot on Seawitch has been made into a super easy shot on Beatles. 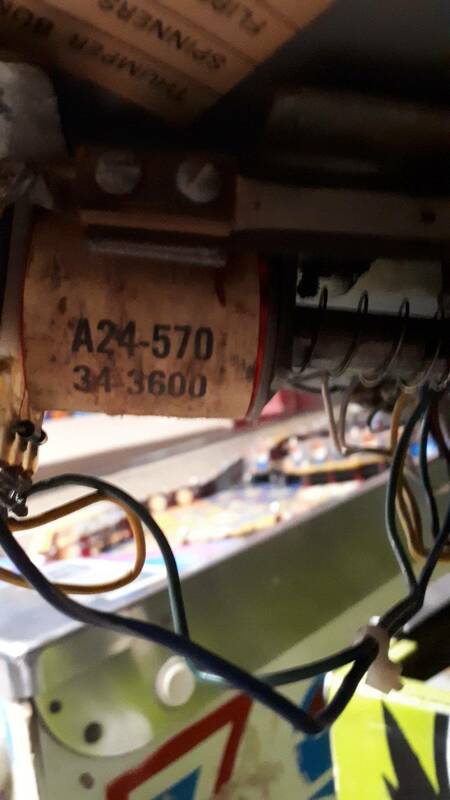 If anyone else out there with a Split Second could help me by taking some detailed photos of your 4 connectors that go to the MPU I would greatly appreciate it. Thank you. Just picked up a big game today another classic stern to the collection. What are you needing to see? It is going to be the same 4 connectors as on your other Sterns. Some wire colors might be a little different but not by much. But the blue print will sort that out.